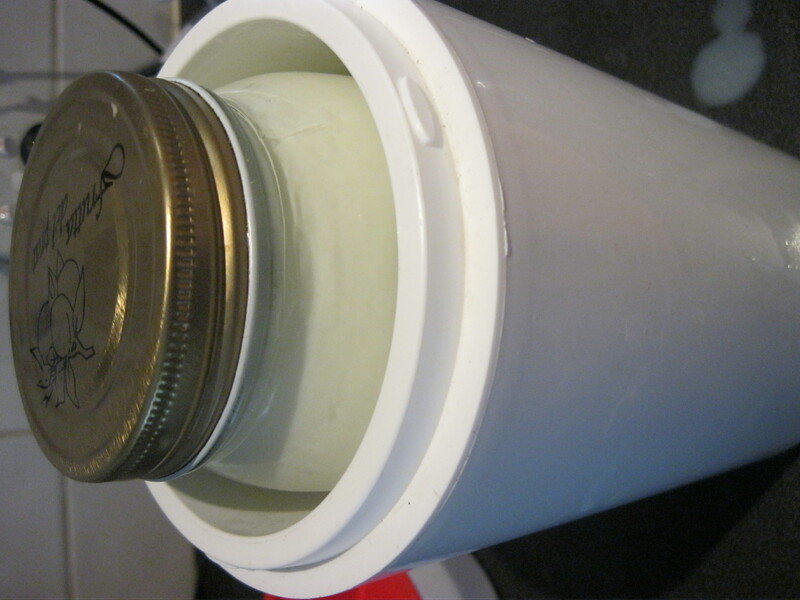 Make your own yogurt in the EasiYo! 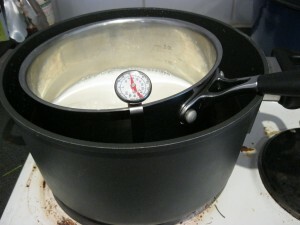 I purchased an EasiYo for about $17 dollars (although watch out for them on sale) and quickly made my money back making my yogurt from scratch. 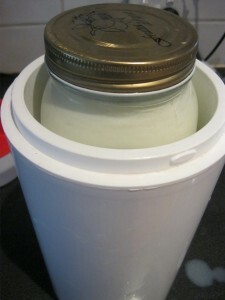 I have found the EasiYo a really easy option for fermenting my milk (although you can use other methods). I don’t make my yogurt in the plastic container provided but bought a couple of mason jars from the $2 shop which work well. 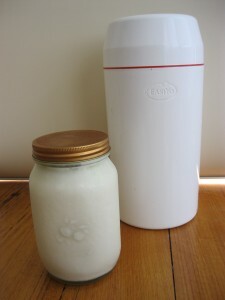 Keeping everything clean, put a table spoon full of natural yogurt with live cultures (to start with I have used Jalna Greek yogurt) (or after I have a batch, I just keep using yogurt from my previous batch, as long as it is not older then 5 days) in a jar and stir in the cooled milk through a small sieve until combined. Seal the lid and place in the EasiYo as per EasiYo instruction. 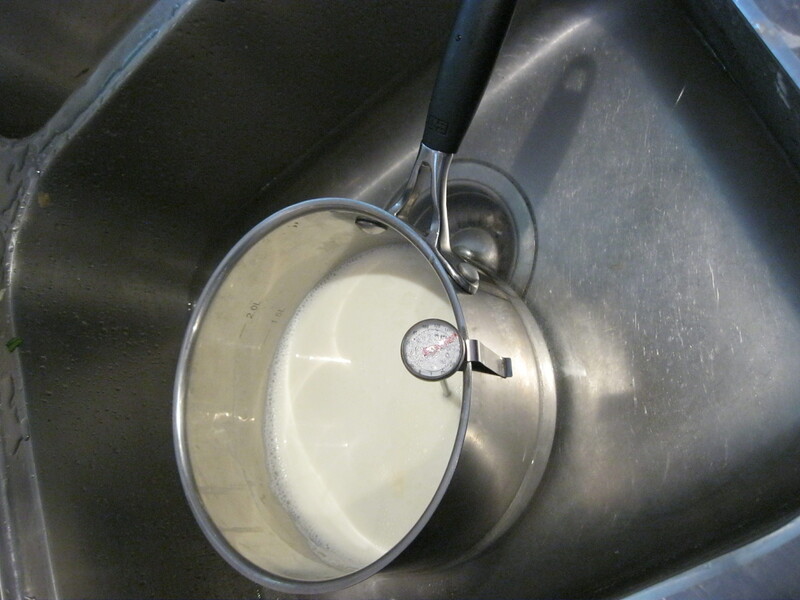 Leave overnight and refrigerate in the morning. 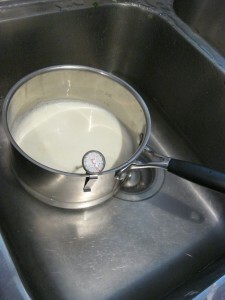 A note your yogurt: Your yogurt will not be as thick as commercial yogurt because you are not using milk solids to thicken it (but it will be as tasty!). Also your yogurt may separate from the whey. That is OK, just stir it in! Now you can make labneh!